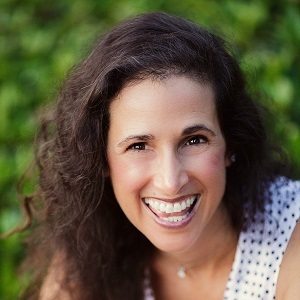 Michele Rosenthal is an award-winning PTSD blogger, bestselling and award-nominated author, founder of HealMyPTSD.com, host of Changing Direction radio, and a former faculty member of the Clinical Development Institute for Timberline Knolls Residential Treatment Center. She is also a trauma survivor who struggled with posttraumatic stress disorder (PTSD) for over twenty-five years before launching a successful “healing rampage.” Her most recent books are Your Life After Trauma: Powerful Practices to Reclaim Your Identity (W. W. Norton) and Heal Your PTSD: Dynamic Strategies that Work (Conari Press). Summary: Michele’s answer to the five questions! Listen to the full conversation on the player above; also available on iTunes and Stitcher. Favorite Definition: The desire to have something that is so deep within you, you can already feel it even though you don’t yet have it. I was drowning for almost 30 years and while everybody else didn’t know what to do with me or abandoned me, my mother kept continuing to say “you’re here. You can do this. You absolutely can do this”. It started when I was 13 – she started saying that to me where if I didn’t have hope in that moment, I would never have ever had it in any other moment. When I was 13, I had an allergic reaction to a medication that turned me essentially into a full body burn victim. My body could not metabolize the medication, it sent it out through the skin and I literally lost 100% of the first two layers of my skin to these enormous blisters that required me to be placed in quarantine burn unit hospital room for a few weeks. I did what she told me to do. I went down deeper inside myself than I’ve ever been and I found the strength to pull myself through. Chris that I think is the first time that I ever learned and it was a lesson that my mom taught me. At that moment she said “Courage is a choice. Make it.” I learned that we can choose. Even in the moments that we don’t think we can do anything, I had to hope in that moment that she was right – that I could go further into myself than I had ever been and find the strength because I didn’t think there was any further place to go. I just allowed myself to hope that she knew what she was talking about and of course here I am today. I came out of the hospital knowing I’m going to make a full physical recovery. I have scars, but they’re not anything that will stop me from being able to do what I want to do. I have some remnants of things that need to be kept up with and dealt with, but on the whole I’m perfectly fine. I’m healthy. I’m okay, but emotionally, I just wasn’t resilient. I fell into that black, deep place of depression and memories and anxiety and all the things that come with that. It was my mother through all those years, 24 years of thinking I was crazy until I was actually diagnosed with PTSD and then a few more years of recovery, all that time my mom constantly there saying to hope, to continue to connect with the idea that things could get better. Back to the idea of being individual, we all get to different places in our recovery depending on opportunities and who we are in our history, so I think we all reach whatever is right for us and wherever we decide. In the beginning of the work that I did I thought everyone wanted to heal and now I’m very careful not to promote or discuss that because some people really don’t. I think it’s important to let everybody decide what it is that they want and feel comfortable with. Today is the release date of my new book, Heal your PTSD – Dynamic Strategies That Work. That’s one of the ways that I continue to give back. (1) Find ways to reinforce your hope. It’s all about intention. More intentions, less expectation. (2) Figure out how to deepen your belief that that hope is valid and that you actually can do this. (3) Create those life-affirming experiences for you. It doesn’t have to be big. (4) Research and education. Have an open mind to keep looking for the answer and trying things. (5) Make the commitment to persevere no matter how horrible, how terrifying the recovery process is.